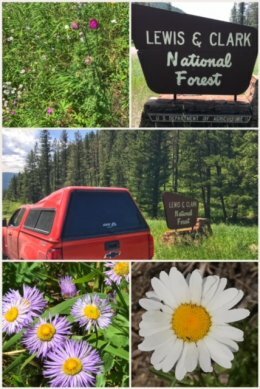 We camped both to the west and east of Great Falls, Montana, as we continue to work our way through the state — heading eastward toward North Dakota. 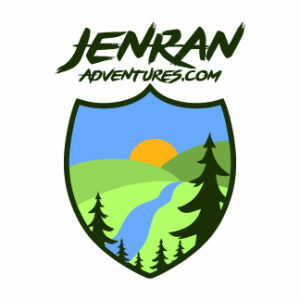 We spent a few nights northwest of the city in the cute little town of Shelby, and later spent a few nights southeast of Great Falls in the quaint town of Stanford (county seat of Judith Basin County). Shelby is located at the crossroads of U.S. Highway 2 and Interstate 15, in north-central Montana. We spent a quiet few days catching up on work — and visiting Great Falls. 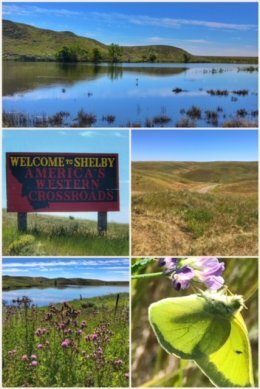 While in Shelby, we enjoyed the historic downtown — as well as hiking the Roadrunner Recreational Trail, which loops around Lake Sheloole and offers views of the Sweetgrass Hills. We took a day to visit Great Falls, once again finding ourselves along the path of the great northwest adventurers, Captain Meriwether Lewis and his Second Lieutenant William Clark — appointed by President Thomas Jefferson to explore the then recently-acquired Louisiana Purchase territory and ideally find the elusive northwest passage to the Pacific Ocean. 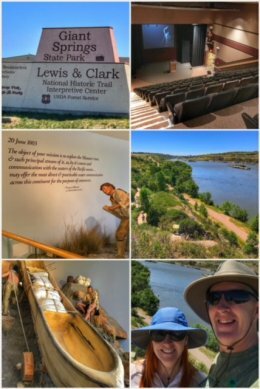 We visited the Lewis & Clark National Historic Trail Interpretive Center, located along the Missouri River, and were blown away by the quality and detail provided by this center run by the Forest Service — very much in line with the great work done by Lewis & Clark and their Corps of Discovery. The most amazing thing we learned was the extent to which this group of travelers had to circumnavigate not just one great falls, but the five located in Great Falls — taking all their equipment and supplies, including canoes, and carrying them by hand or in makeshift wagons overland for approximately 18 miles in order to bypass the 21-mile stretch of falls and rapids. 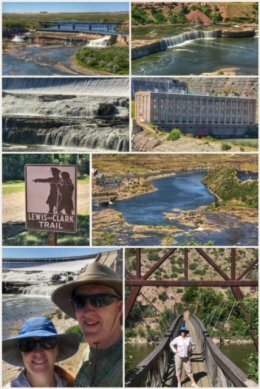 Of course, when one is in Great Falls, one must see the falls — even though most of them now have dams located on top of them — including Black Eagle Falls, Rainbow Falls, Crooked Falls, and Big (Great) Falls. The fifth, Colter Falls, is under water. We hiked part of the River’s Edge Trail, starting from the Lewis & Clark Overlook Trail head. This 1.4-mile hike provided us with great views of Rainbow Falls (and Rainbow Dam) and Crooked Falls (also referred to as Horseshoe Falls — the only falls that remains mostly unchanged since the Lewis & Clark expedition). We later drove over to Ryan Island, home of the Ryan Dam and the once Great Falls of the Missouri River. Ryan Island is a beautiful little park for picnics — and for viewing what remains of the falls (and the dam). Next up, we landed in a funny little campground in Stanford, MT, at the crossroads of U.S. Highways 80 and 87. Because the park is located right on the edge of town, we spent several evenings simply strolling through the cute little downtown and the residential side streets — filled with lots of flowering plants and manicured lawns (in the short season before the snow and cold returns). More importantly, though, Stanford served as a wonderful gateway to the Lewis & Clark National Forest — where we went from the plains of Stanford into the forested Little Belt mountains of the national forest. 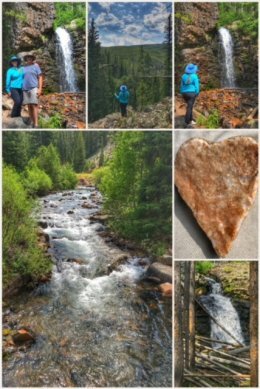 Our most fun adventure in the national forest was a hike up to Memorial Falls, on Belt Creek. The trailhead is located right off of U.S. Highway 89, just a mile or so south of Neihart. (Neihart is worthy of visiting too so you can learn about the mining history of the area.) 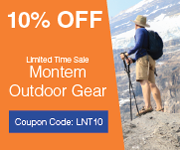 The hike is fairly short at .5 miles one way, but the terrain is extremely rocky — covered with bits and pieces of Neihart Quartzite, a reddish coarse-grained sandstone, and one of the oldest and hardest rocks found in the Rocky Mountains. After leaving the parking area, you cross over the creek and follow a path up a narrow canyon before reaching both a lower and upper falls. On our return to trip back to Stanford, we decided to stop in the little town of Monarch, which to our surprise was busy restoring a more than century-old railroad depot from the long-ago days of the Great Northern Railroad, when they had a spur that hauled the mining ore from Neihart and Monarch (when both towns were boomtowns) to Great Falls. After the mining collapsed, the railroad not only closed down the line, but pulled up all the tracks and removed all the trestles. 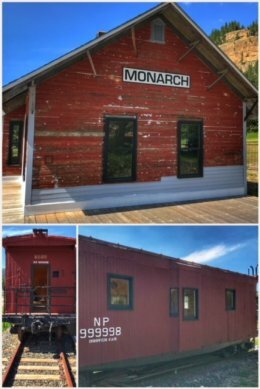 All that remains is this old depot — which had been used and abused for years by the Montana Department of Transportation, before local historians stepped in to save and restore the historic building. While in the area, one should also consider a stop to Sluice Boxes State Park, which contains eight miles of canyons and cliffs along Belt Creek. Next up for us? A quick stop in Billings before heading to Miles City — and hopefully visiting a part of the Dinosaur Trail, a collection fourteen dinosaur-themed museums in central and eastern Montana before heading into the uncharted (for us) North Dakota territory.